With US duties on Chinese imports worth United States dollars (USD) 250 billion, and Trump threatening to double that level unless a bilateral agreement is reached by 2nd March, the threat of quantitative tariff escalation hangs over global economic prospects for 2019. However, it is the qualitative evolution of the US-China conflict that poses the greatest uncertainties, amid increasing use of tactics such as politicised regulation and sanctions. Andrew Gilholm, principal and director of analysis at Control Risks, says the best that can be hoped for by March is probably a tem­porary, partial deal to limit the scope and speed of escalation, not stop or reverse it. At worst, he says, failure to even extend the current, partial truce would see escalation resume where it left off in November. The US administration has begun a concerted effort to intensify pressure on multiple fronts, involving multiple agencies. Since September 2018, this has included: sanctioning China’s main military procure­ment agency and one of its leading semi­conductor companies; bringing legal action against Chinese firms and individuals over alleged industrial espionage and sanctions breaches; asking several countries to bar China’s leading telecoms equipment man­ufacturer from their 5G infrastructure; and expanding controls on sensitive US exports to China and Chinese investment in the US. This shift in tactics is likely to be a long-term feature of US-China competition, regardless of how current talks progress. Countering China has broad, bipartisan support in Washington, but most observers want to focus beyond tariffs and the trade deficit, to better target systemic issues of market access, intellectual property (IP) protection and state support for favoured local firms. In an optimistic scenario for trade talks, President Trump will likely restrain action against China, but there will still be periodic ‘attacks’—as Beijing sees them—throughout 2019, whether they in­volve targeting Chinese companies, human rights issues, or various sanctions issues. Additional scrutiny or controls on bilater­al trade and investment ties in sensitive sectors also have a momentum that goes beyond the White House. Faced with such actions, and unable to match US tariffs if Washington resumes escalation on that front, Beijing will be torn between looking weak with continued restraint, or expanding its retaliation to tactics—including going after US compa­nies in China—that risk serious self-inflicted damage. Chinese leaders do not want to exacerbate conflict or scare off US and other foreign firms. This would undermine their focus on domestic stability, summed up in President Xi Jinping’s call to “stabilise employment, stabilise foreign trade, stabi­lise foreign capital, stabilise investment and stabilise expectations”. However, as ‘Plan A’ looks increasingly shaky, China is strug­gling to decide on a ‘Plan B’ of retaliation if its enhanced offers of concessions fail to satisfy the Trump administration. Without a clear sense of how to contain this, China will probably feel it has little choice but to tap its own non-tariff toolkit more frequently and aggressively as the US ups the ante. It will remain selective, aware of the collateral damage, but US companies can expect more scrutiny in areas such as antitrust, data protection and product safety, and more problems with issues like licensing and approvals, workplace safety and customs inspections. As recent Chi­na-Canada tensions illustrate, it is not only the US and its firms that could be caught in the crossfire of Washington and Beijing clashing. From semiconductors and software to cups of coffee, top US brands in China have struggled with issues like antitrust and pricing even before the trade war. For Beijing, such regulatory pressure does lim­ited domestic damage and can be passed off as normal regulatory enforcement. Fear of scaring off investors is still a constraint, but if the Trump administration goes hard after Chinese companies, Beijing may even be tempted to seek its own ‘ZTE or Huawei moment’ – a more shocking demonstration of its ability to hurt a top US company. It could target one of the many that make a large share of their global profits in China. Another often-overlooked risk is that a nastier nationalism is waiting in the wings of this dispute. It has been notably absent in China so far, with nothing like the protests against Japan in 2012 and South Korea in 2018. This is not because there is no an­ti-US sentiment in China; it erupted briefly in 1999 and 2001, and remains abundant online. It is because Beijing, despite stoking nationalism with its ‘patriotic education’ and ‘China Dream’ rhetoric, usually sup­presses actual organisation and protest. For now, Beijing’s message is that everything is under control. Making con­cessions to US demands is already awk­ward for Xi; stronger outpouring of patriotic passion would further constrain him. Hence the propaganda apparatus has told media and online censors to avoid overly-emotive trade war coverage. However, if a slow­ing economy and socio-economic strain put Xi under more domestic pressure, it will be tempting to unleash the nationalist narrative, directing anger out, not in. The government will not allow widespread un­rest and most consumer boycotts in China have been short-lived, but nationalist senti­ment remains a concern for US firms—and perhaps ‘Western’ ones more generally—as local brands in many sectors are already gaining ground. 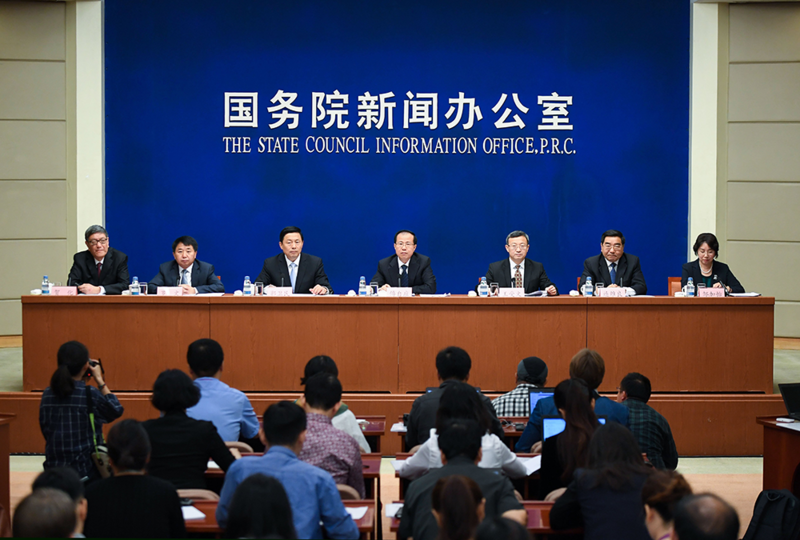 Chinese trade representitives introduce The Facts and China’s Position on China-US Trade Friction in a media conference held by Information Office of the State Council on 25th September 2018. China’s leaders see their core politi­cal-economic model, including a big state-owned sector and rapid industrial upgrading, as non-negotiable. They are determined to deter what they—and most Chinese—consider to be US efforts to contain China’s development through economic coercion. The US sees a more aggressive, au­thoritarian China seeking to dominate key industries and technologies by ex­ploiting open economies, while directly challenging US security dominance and economic influence in Asia and beyond. The consensus in Washington is that the US cannot continue such open economic ties with China without major changes to China’s model or global trade rules. Even if a superficial deal is struck in the coming months to contain escalation, rec­onciling underlying US-China grievances in any sustainable way will require deeper concessions – a renegotiation of the bilater­al relationship which neither side seems ready for yet. Foreign multinationals in China have seen difficult times before, and the outlook is not all doom and gloom. Accelerated reforms may prove shallow and selective but still imply opportunities for some. Third-country governments and companies have been quick to see opportunities amid US-China risks. It is no coincidence that European firms seem set to be the first beneficiar­ies of recent market access concessions in the automotive and financial sectors. As it struggles to find a balance between addressing and deterring foreign pressure, Beijing will be keen to adopt a corporate carrot-and-stick approach. Businesses should now view the disruption, costs and uncertainty associated with geo­political adjustment as part of a base-case scenario, rather than a spike in tensions. Non-US firms should also remember that most countries are vulnerable to bilateral frictions with China at some point. While business leaders may have little ability to influence top-level US-China tensions, they are not helpless to manage associated risks, with at least two lessons seeming clear. First, political developments are not exclusively bad news for business, but are certainly more impactful and more volatile than before, and so demand a more central, better-coordinated role in corporate strat­egy – you cannot predict with certainty but can at least prepare better for uncertainty. 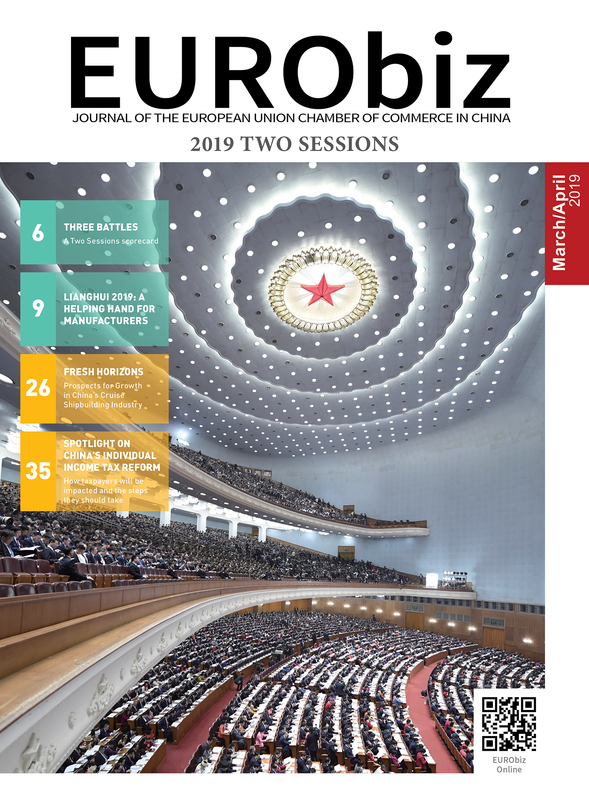 Second, the best defence against becom­ing collateral damage in geopolitical fights may be compliance: minimising exposure to regulatory or other negative scrutiny in China, at a time when even mundane cases could rapidly become politicised and public. 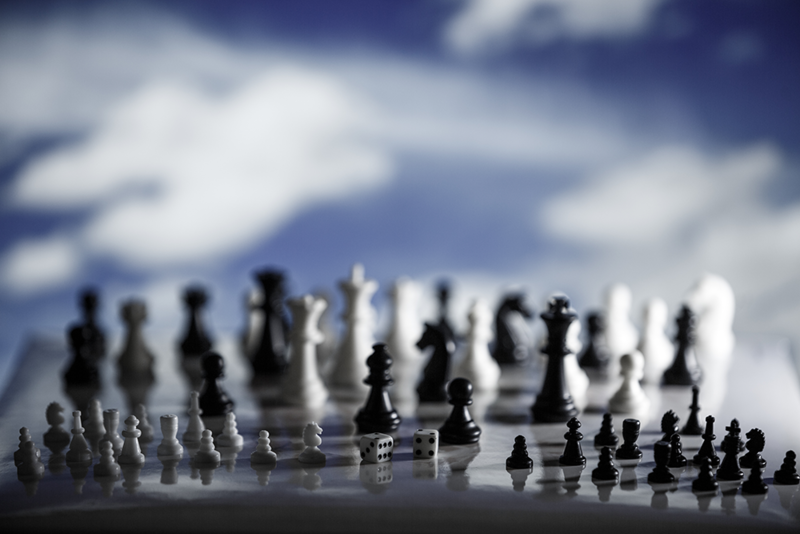 Control Risks is a specialised risk consul­tancy committed to helping clients build organisations that are secure, compliant and resilient in an age of ever-changing risk and connectivity. Clients include national and multinational businesses in all sectors, law firms, government depart­ments from many parts of the world, NGOs and SNBs, both national and international. Share the post "The US-China Trade War"